Once again, God is pouring financial blessings onto families who are stepping out in faith to care for orphans and be His hands and feet to these precious children. 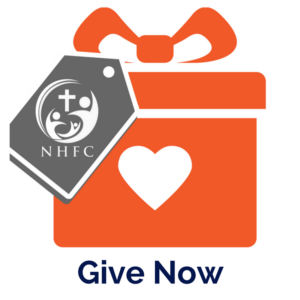 NHFC has been given an amazing financial opportunity! An anonymous donor has issued us a “Double Your Dollar” challenge! 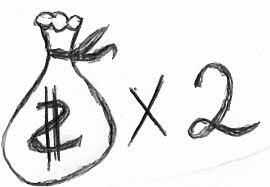 For each currently available and unmatched Latvian child who receives a $250 scholarship donated to his/her name, our donor will match ANOTHER $250 to that child. This is a great opportunity to help children who may not otherwise be hosted and double your donation. For sibling sets, our donor is willing to match $250 PER child instead of limiting it to $250 per sibling group. Also, if you are thinking of hosting a Latvian child but have not pulled the trigger yet, you can donate $250 to your child and receive a matching $250 scholarship to go toward your own host fees! This offer is only for current unmatched Latvian children. Children currently on hold, already hosted, or from a different country would not qualify for this incentive challenge. Scholarships greatly increase a child’s chances to be chosen for hosting. If you are currently unable to host but want to play a part in changing the course of an orphan’s life, please consider making a $250 donation to the Latvian child of your choice. Your money will double and give that child the opportunity to spend Christmas in America! We love seeing God at work moving financial mountains! If you are a past host family and have a great story of how God brought in the money for your host fees, please post it in a comment below as an encouragement to new and future host families!! I can say with certainty that God provides when you are doing His work. We did not have the money to host, yet every time a payment was due, somehow the money was there. It was a variety of things – a few donations, an unexpected reimbursement from the insurance company, lower monthly bills than usual, a little extra income here and there. I really cannot explain how He did it, but what I can say is each and every time, the extra money was there – usually within about $10 of the exact amount needed. This has continued as we made the decision to adopt, which was not our original plan. At each step, the money has been there. He WILL provide! If you are following God’s will for your life, He has promised to provide according to His riches in glory. We have seen this time and again throughout our hosting/adoption journey. We did not have the funds to enter into this journey, yet we knew that it was God’s will according to scripture and that He had called us to this. For each step of the way the money that we needed came. We had a medical settlement that we had never put a claim for send an unexpected check. We had people we did not know give donations. We held a restaurant fundraiser night, a four hour event. It was going very slowly. In the last hour a couple handed us a check for $1000. When we held a fundraiser, we managed to raise enough to get us to the next step, even if it didn’t look the way we had planned. Rest and trust in the power of the One who can move mountains, calm seas and rules the Universe. God is Able! We are now in the process of returning to the United States with our son! What God has called you to do, He will be faithful to see you through.